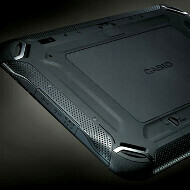 Casio, which is mostly known for its compact cameras, as it was previously known for its digital watches and calculators, has decided to enter the tablet game in its turn. The company adds a certain twist to the rules, though, as its Casio V-T500-GE and V-T500-E are more rugged than usual, with an IPR 54 rating, meaning they won't break if you drop them from about a three feet height, and won't stop functioning if they get splashed with water or operated in dusty environments. The tough brethren are encased in rubber, will be running Android Ice Cream Sandwich on their 10" displays, powered by a dual-core 1.5GHz TI OMAP4460 processor, with an NFC chip thrown in for a good measure. A large capacity battery will be providing the juice, and it will be user-swappable for extending the working hours. 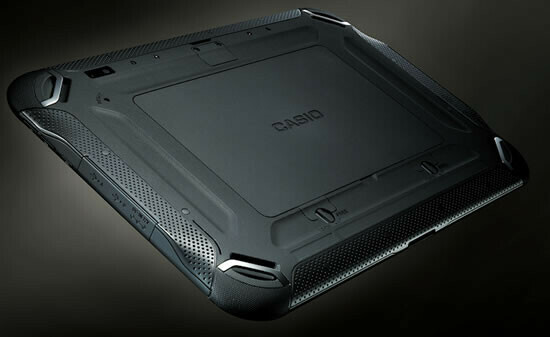 Pricing and availability for the two rugged Casio slates are so far the big unknowns, as well as the exact differences between the V-T500-GE and V-T500-E models. Could be cool, if they can keep it relatively thin while making it tough as nails. Android device will put Apple into dust. The whole world start to produce Android, but not iOS device, Why? yes i agree, water proof is the sweetest. And maybe a more powerful processor i mean seriously dual core is so 2011, dont you guys agree? glad to see a good player enter the game.. It has TI OMAP 4460 so can it be updated to 4.1 easily? The back looks cool. It can also double as a portable table! To be honest I'm surprised that it took this long considering Casio is known to put out these type of mil-spec products. 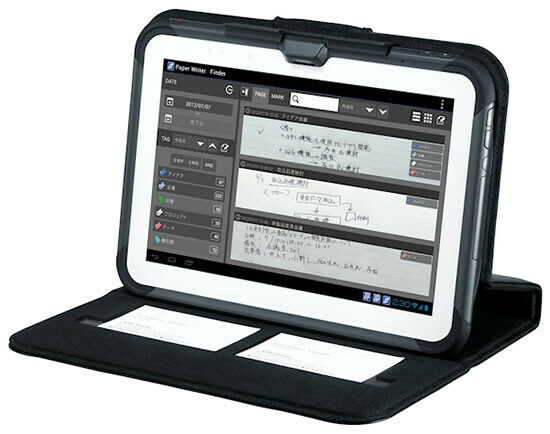 Panasonic will probably wait for Windows 8 or RT to put out their own mil-spec tablet.